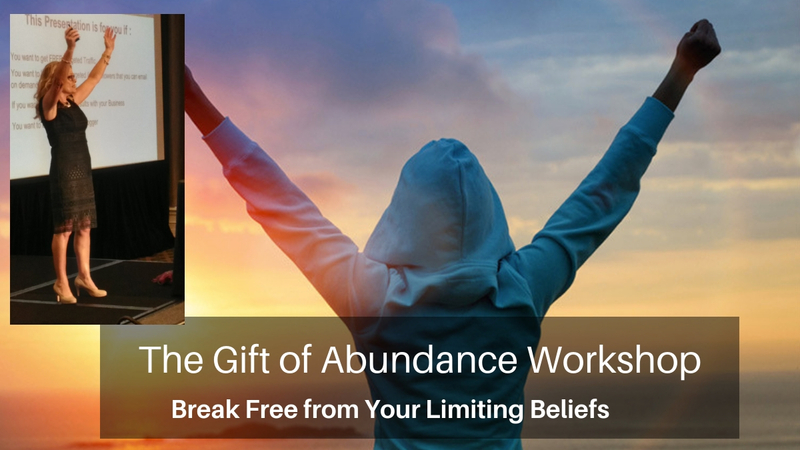 Come Along and meet my Tribe and Learn How to Move Forward ! 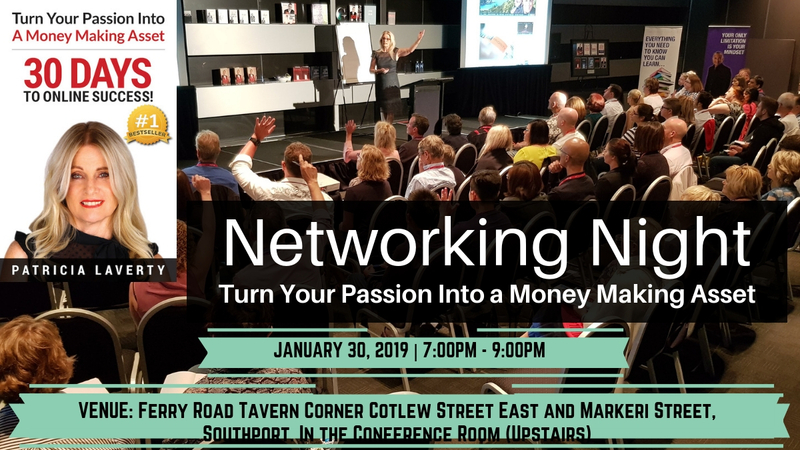 Not only will you be able to network with other like minded business people but you will enjoy some FREE education on the night too! Every event has an Amazing Guest Speaker to help you move forward with your business, your life, your health, your abundance ! 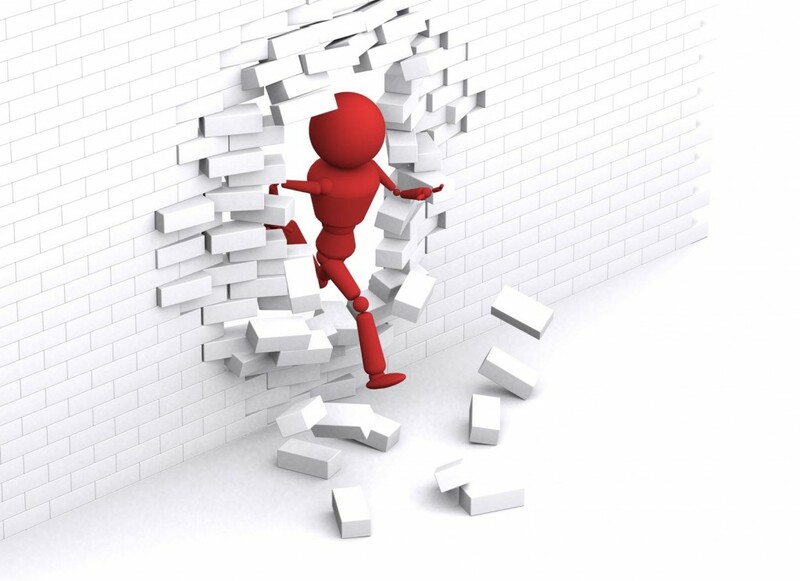 If you want to grow then …..Read More About tonight’s event …..
Let’s make 2019 the best year ever. …..Read More About this event ….. Most people think you need to spend a Squillion Dollars to create an online business. There are plenty of FREE online tools that I can show you how to access – without spending the holiday money ! Having your own program, service, product, business is the way to go. In this Workshop you will learn how to build yours from scratch! 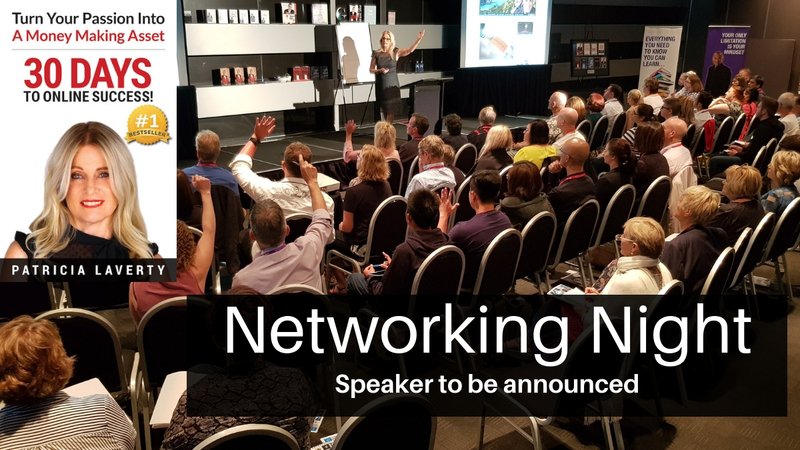 We continue your journey of building your Digital Business for 2019 with a lot of help from my Facebook Guru – This event is not to be missed. If you thought you understood Facebook Ads, then think again. Chris will show you how to operate Facebook like a Concert Pianist on a Grand Piano! 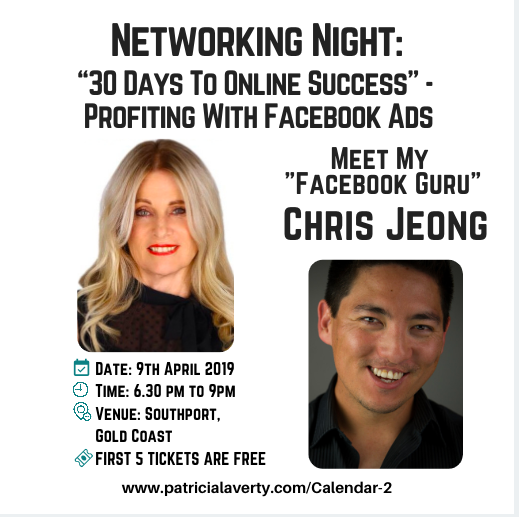 Not only will you be able to Learn from Chris you will also enjoy some more FREE education to help you with your Online Business on the night too! How is Your 2019 shaping up ??? There will be door prizes so please remember to bring along your Business Cards. So go ahead and secure your ticket now, and I look forward to seeing you on the night. And remember my motto: Never Give Up Until The Miracle Happens ! Let’s make 2019 the best year ever. ..…Read More About this event …..